Question: We exist within an immense system of nature that constantly develops and grows the desire to receive pleasure within us, while also having a hidden goal of bringing us to complete despair. What specifically is the cause of this despair? Answer: We come to despair as a result of our own nature—egoism, the desire to receive pleasure—because if our actions stem directly from this desire, then we drive ourselves to stress, complete hopelessness, global crises, and wars. Human nature itself is bad because it constantly pushes us to achieve the unattainable. As a result, we all have to continuously compete with everyone else and this causes stress. Question: Why are these goals unattainable? Answer: Because egoism wants everything that the eyes see. And if everyone wants to get what they want, then each person has to build their success on the failure of others. It is impossible to do it otherwise. Everyone wants to rise higher than others, to be the king of the world, for others to be his subordinates. But he is not the only one in the world; there are eight billion other egoists just like him, and each one wants the same thing. The result is that I constantly need to protect my place under the sun. This is what our lives have become. Question: Does that mean stress was pre-programmed into the system of nature? Answer: Our egoistic nature is the sole reason for all our misery and suffering. But if we were able to pacify our desire for pleasure… . But it is impossible to pacify it, other than perhaps through the use of narcotics. But then the person is completely disconnected from his life. And so a question arises: Why is everything built in this way? And here the science of Kabbalah explains that stress has a cause: to bring a person to the awareness of the evil of his own nature, which only pushes him to seek pleasure. A person’s drive to receive pleasure has no limits; this desire would swallow the entire world. And if there were several worlds, then all those as well. That is why we live in stress. Our abilities are limited, life is short, and there is nothing that will help. In practice, we see that our egoism harms only ourselves; it is because of it that we are sick, that we die. We suffer terribly and it’s all for nothing. That’s why it is written that “a man’s foes shall be they of his own household,” in other words, in your own body. Egoism is within my body—and it is my greatest adversary. Torah, Deuteronomy 31:06: Be strong and courageous! Neither fear, nor be dismayed of them, for the Lord, your God He is the One Who goes with you. He will neither fail you, nor forsake you. Moses worried about the people as for his children. After all, he himself could not enter the land of Israel because he reached his highest stage and must wait for the next generation. He seems to leap in our time and wait for today’s humanity to see the Light, to begin to pull itself up, educate itself, complete the same forty-year-journey through the desert (in the spiritual sense of the word), and be ready to enter the land of Israel, that is, the quality of absolute adhesion with the Creator. And then all the great souls led by Moses will be able to unite with those who gather together from all over the earth, and together they will gain spiritual elevation. 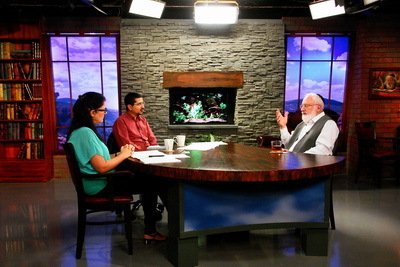 Question: The stages described in the Torah span from Adam to the entrance to the land of Israel. Is all of humanity moving along these tracks? Answer: Humanity must necessarily pass through the same states. 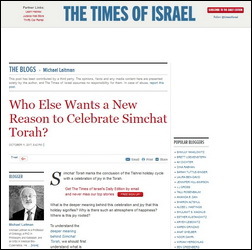 Question: That is, every person within himself should, as they say, write the Torah? Is this what it means to pass through all these states? And Moses is waiting until we reach him, that is, he is waiting until all the other desires get to him? Answer: Not only does Moses await them, but also all the forefathers: Abraham, Isaac, Jacob with his wives, Adam HaRishon and Eve. All of them are there. 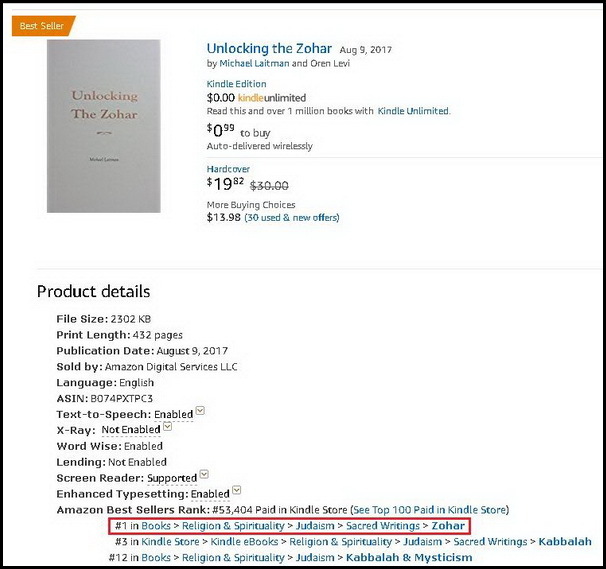 My book Unlocking The Zohar has become a bestseller on the largest site Amazon. Question: What is this force that passes through the whole universe, through all of space, to help us unite? Answer: This space does not exist. You can move from one end of the universe to the other within a moment. Even this moment does not exist because you do not take on the function of time, but rise above it to the next level. Let’s say that from Sefira Yesod you ascend to Hod or Netzach. Then the previous level becomes a point for you. Therefore, if there is infinite time and space in our world, then an ascent of one degree in the spiritual world compresses our entire world to a point. There is no time, no space, no movement, no life, no death—nothing, no category. The first, lowest spiritual degree completely nullifies our world, turns it into a seed. All the millennia of history disappear because they exist only in our shattered imagination. What is our conscience based on? How do we determine whether we are receiving pleasure or suffering? How will we define values for the future?